Renault Kwid based electric car is named Venucia E30 in China. 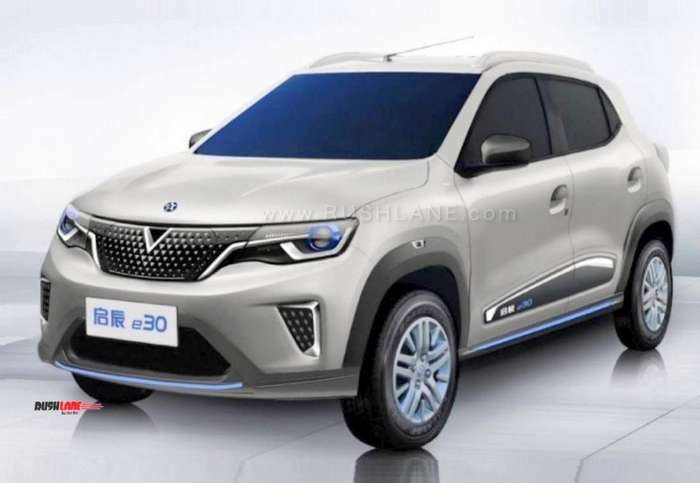 Dongfeng Motors, Renault Nissan JV Partners, have revealed images of the new Venucia E30, which is an all electric car based on the Renault Kwid which is on sale in India. The hatchback which will go on display at the Shanghai Auto Show along with the Kwid K-ZE EV concept’s production variant. The Venucia E30 hatchback (above) is basically a rebadged Kwid EV. Both models share the same design elements, inspired from the Concept. Venucia E30 EV shares most of its exterior features with the Renault Kwid on sale in India. It gets similar body panels, running gear and underpinnings. Its differences lie in a new front bumper, distinctive front grille and new headlamp design. Being an electric model, it gets blue accents on its front bumper and side skirts with black plastic cladding all around. 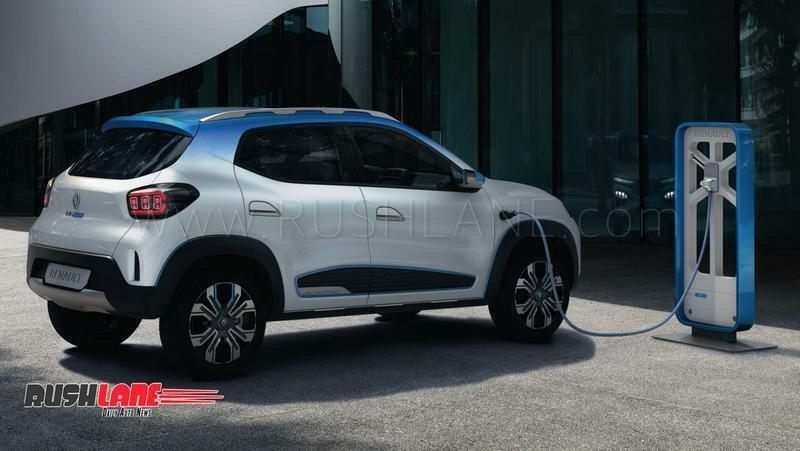 The hood sports a small star logo of Venucia brand while wheels are larger in size as compared to that seen on the Renault Kwid EV (below). Features to the rear include an updated bumper and new tail lamps. The interiors of the Venucia E30 EV will also see some features borrowed from the Kwid EV. It will however get a new instrument cluster and infotainment system. No engine specifications have been revealed as on date, except for the fact that the Venucia E30 EV will share the powertrain with the Kwid EV, that has a range of 250 kms on a single charge, as per New European Driving Cycle (NEDC) standards. Like the Kwid EV which is developed by eGT New Energy Automotive, a joint venture of Renault and Nissan for the Chinese market, the Venucia E30 will also follow the same development process while production will be handled at the Dongfeng plant which has annual capacity of 1.20 lakh units. It may be remembered that Venucia name had already been used on a car, which was launched in 2012 by Dongfeng and Nissan. This was a rebadged version of the older Nissan Leaf. This first generation model was discontinued in 2018 and it will now be replaced by the new Venucia E30. The brand became a standalone company, wholly owned by Dongfeng, even as the Renault Nissan Alliance is still intact.